Welcome to all who come to this happy place! 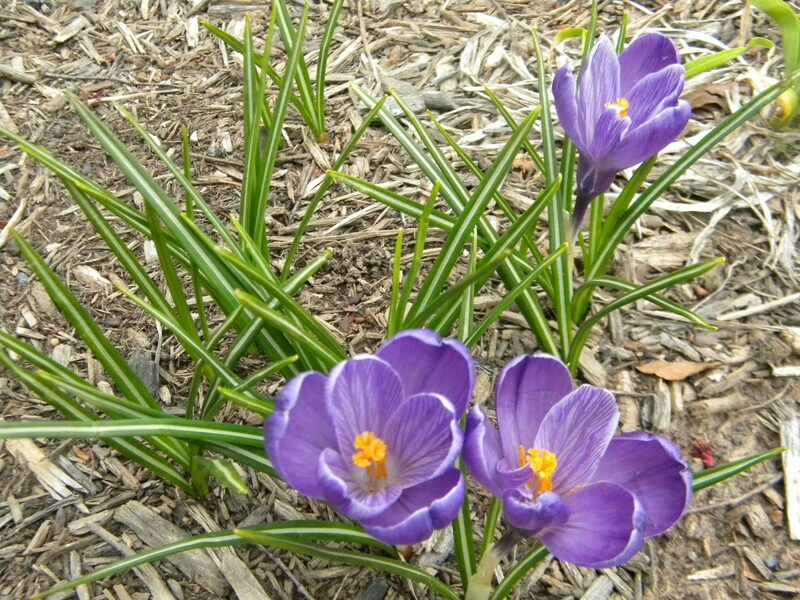 We invite you to explore our website to learn more about our wonderful school. If you would like to schedule a tour, or have any questions, please contact our director of admissions, Mrs. Jeanne Bliss, at 703-766-3441 or jbliss@stmark.org. 2019-2020 applications are now available on our website and in our front office. 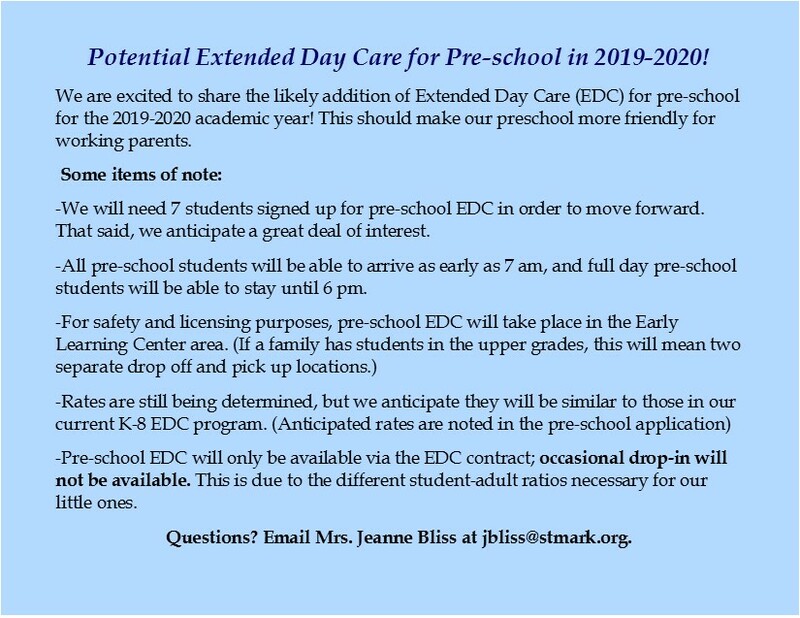 Potential Extended Day Care for Pre-School in 2019-2020! Learn more. Please email Mrs. Jeanne Bliss, Director of Admissions, at jbliss@stmark.org, to schedule a personal tour of our beautiful school and campus. A 2015 Blue Ribbon School of Excellence, ST. MARK Catholic School boasts a current enrollment of nearly 400 students. Each student enjoys a friendly and welcoming school, small class sizes, and the ability to develop to his or her unique potential through strong relationships, a rigorous curriculum, and a school which exemplifies the love of Christ. The ability to discuss and explore our faith allows for education of the whole child: spiritually, intellectually, socially, physically and emotionally. Recognizing the dignity and the uniqueness of each child, we promote academic excellence through a faith-based education. By developing a Catholic foundation rooted in faith, knowledge and service, we send forth our students on their journey through life to share the light of Christ. For more information, to register, or to set up a personal tour, please contact Mrs. Jeanne Bliss director of student services and admissions at 703-281-9103 or jbliss@stmark.org. Click here for more information.